In a study published earlier this week, scientists in the US identified bacteria resistant to carbapenems in a swine farming operation. Carbapenems are termed as “last-resort” antibiotics used to treat diseases when no other antibiotic is known to work. The research was carried out by scientists at the Ohio State University and published in the journal Antimicrobial Agents and Chemotherapy. 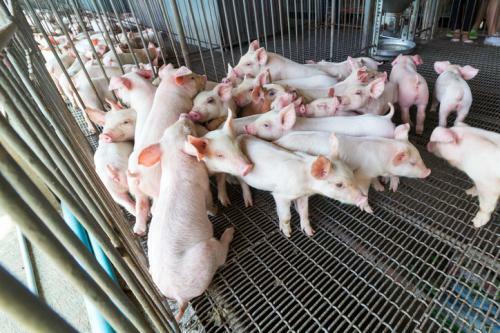 The bacteria isolated from a swine farm environment, belong to the family of bacteria termed Enterobacteriaceae, that includes pathogens such as Escherichia coli. Enterobacteriaceae resistant to carbapenems are generally termed as carbapenem-resistant-Enterobacteriaceae (CRE). Carbapenems are termed “critically important” for human health by the World Health Organization (WHO). Antibiotic resistance (ABR) is a major public health concern across the globe. The threat of ABR is said to negate the benefits of antibiotic use in treating and curing diseases. An important contributor to the development of ABR is the non-therapeutic use of antibiotics for the production of food animals. Non-therapeutic use of antibiotics in food animals includes using antibiotics for growth promotion and disease prevention. The isolation of CRE in the environment of a farm where food animals are produced for commercial purposes is bad news in the fight against antimicrobial resistance. Hence, monitoring antibiotic resistance in the environment is critical in the fight against it. The WHO adopted a global action plan to combat ABR in May last year. As per the global action plan, all member countries are to submit national action plans to combat ABR by May 2017. It is yet to be seen how the component of ABR in environment is addressed in different national action plans that would be submitted next year.